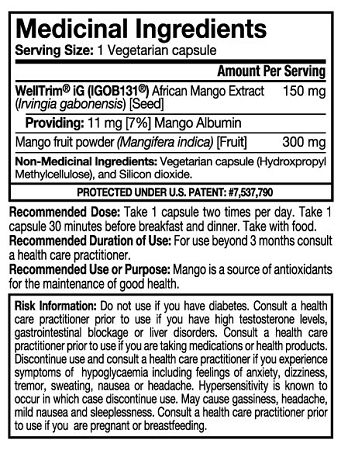 authentic African Mango protected under US Patent #7,537,790. Mango is a source of antioxidants for the maintenance of good health. Recommended Dose: Take 1 capsule two times per day. Take 1 capsule 30 minutes before breakfast and dinner. Take with food. Recommended Duration of Use: For use beyond 3 months consult a health care practitioner. 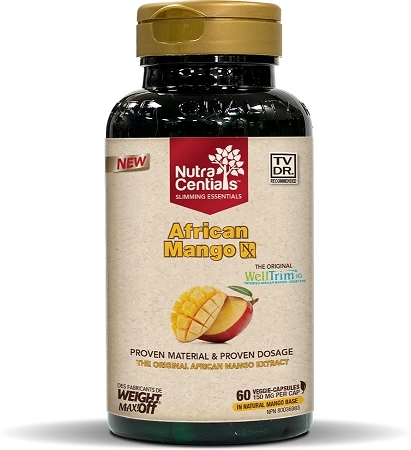 Recommended Use or Purpose: Mango is a source of antioxidants for the maintenance of good health.